In 2018, the #grain #harvest in #Ukraine has set a #historical #record, exceeding 66 #million #tons and making it the highest figure ever recorded. Moreover, for the first time, a record is likely to be set in the gross harvest and yield of soybeans and sunflower. Given the fairly favorable weather conditions for spring crops, cautious predictions of the Ukrainian Ministry of Agrarian Policy and Food for the highest harvest in the independent Ukraine’s history are beginning to come true. Now that 96% of the crops have been processed and the harvesting is still ongoing, the Ministry of Agrarian Policy and Food of Ukraine has reported that the grain harvest in Ukraine has set a historical record. This year, Ukraine has already harvested 66.4 million tons of cereal grains and grain legumes on an area of 14.3 million hectares (96% of the planned area), with a yield of 4,650 kg per hectare (as compared to 4,180 kg per hectare in 2017). Moreover, for the first time, soybeans and sunflower will show a record-breaking gross harvest and yield. 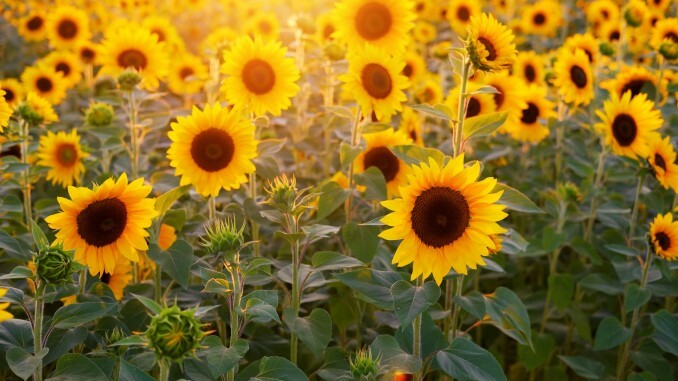 As of 19 November 2018, sunflower was threshed on an area of 6 million hectares (99.8%), with 13.8 million tons being harvested with a yield of 228 kg/ha (in 2017 – 201 kg/ha). Soybeans were harvested on an area of 1.7 million hectares (99%), with 4.3 million tons being produced with a yield of 257 kg/ha (as compared to 192 kg/ha in 2017). The grain harvest record is set as a result of high maize harvest, which will also reach a historical record of around 34.8 million tons. Ukraine has already harvested 31.3 million tons of maize on an area of 4.1 million hectares (90%), with a yield of 7,590 kg per hectare (as compared to 5,230 kg per ton in 2017), making it the highest maize yield in the history of independent Ukraine.